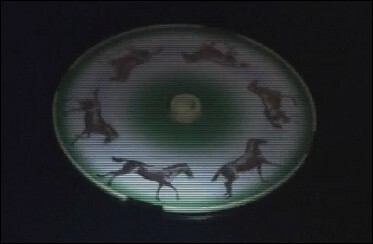 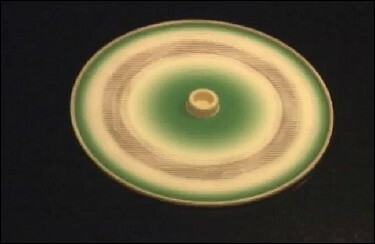 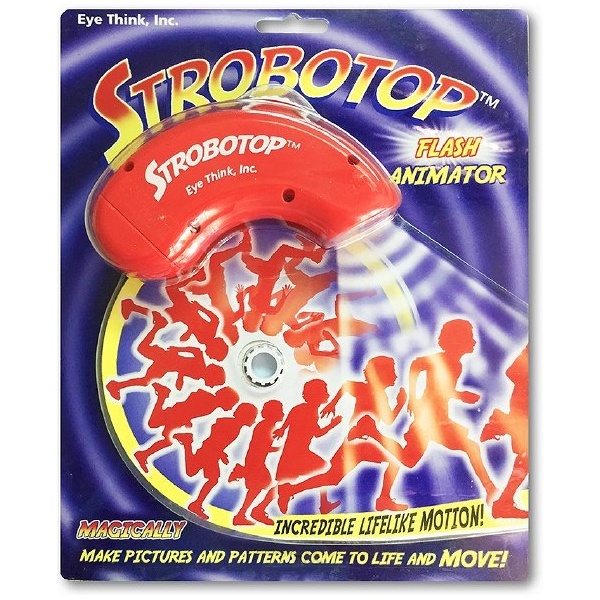 Spin the top and catch the animation ! 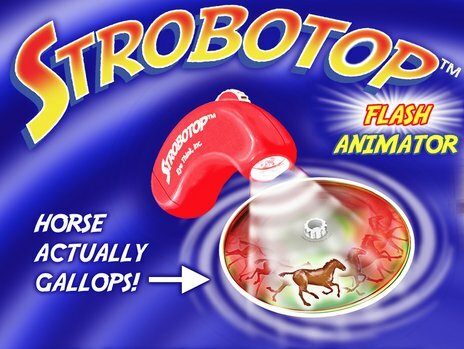 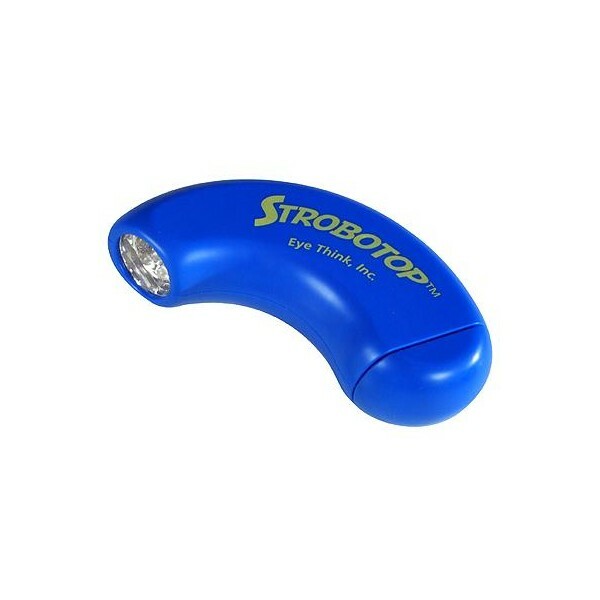 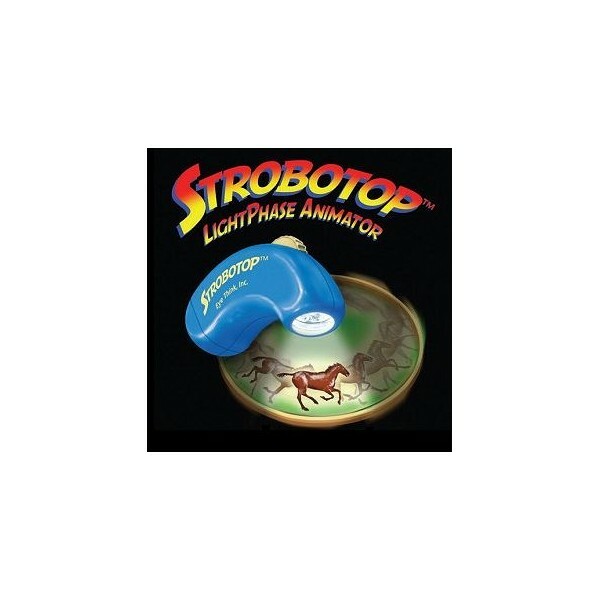 Spin the STROBOTOP : it’s very nice these colored spots ! 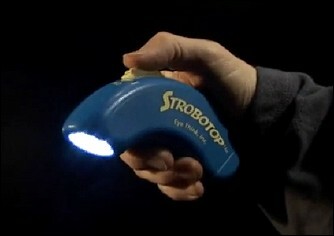 - Aim your LightPhaser at the Strobotop, and adjust the dial. 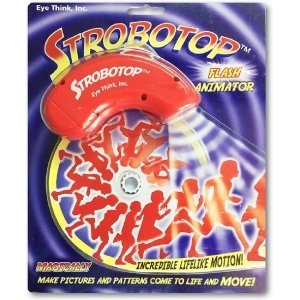 - Suddenly, the blurring images snap into focus and spring to life before your eyes !